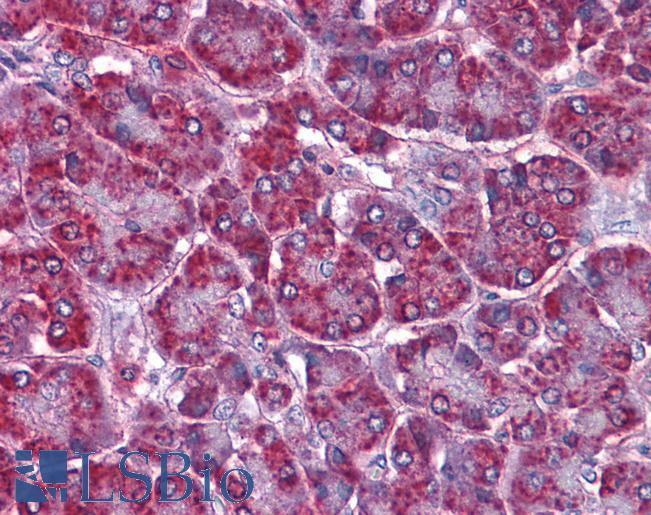 EB07687 (3.75µg/ml) staining of paraffin embedded Human Pancreas. Steamed antigen retrieval with citrate buffer pH 6, AP-staining. 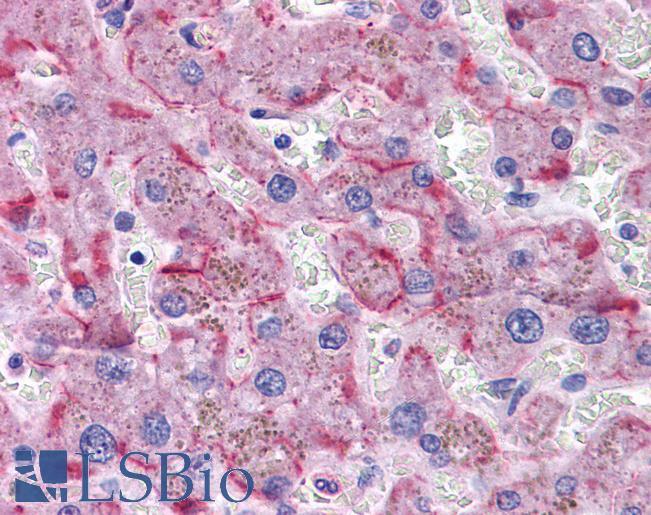 EB07687 (3.75µg/ml) staining of paraffin embedded Human Liver. Steamed antigen retrieval with citrate buffer pH 6, AP-staining. Peptide with sequence C-SERNDWEPPDKKVD, from the internal region of the protein sequence according to NP_006425.2; NP_056200.1; NP_001030126.1; NP_001030127.1; NP_001030128.1; NP_079267.1; NP_001030129.1. Western blot: Preliminary experiments gave an approx 65kDa band in Human Adipose lysates after 0.3µg/ml antibody staining. Please note that currently we cannot find an explanation in the literature for the band we observe given the calculated size of 76.6kDa according to NP_006425.2 and higher sizes for other isoforms. The 65kDa band was successfully blocked by incubation with the immunizing peptide. IHC: Paraffin embedded Human Pancreas and Liver. Recommended concentration: 3.75µg/ml.